NIA-CHARLESTOWN NEVIS (May 18, 2011) — The Public Works Department on Nevis will finally be in a position to tackle unhindered, the extensive road development programme that the Nevis Island Administration (NIA) had instructed them to implement. Permanent Secretary in the Ministry of Communications Works, Public Utilities and Posts Mr. Ernie Stapleton made that disclosure in an interview with the Department of Information on Tuesday less than 24 hours after a brand new EC$1.2million ADM asphalt plant arrived on Nevis. The new plant will replace a 14-year Parker made plant which had experienced extensive break downs and was no longer considered cost effective equipment. “This asphalt plant according to the technical officers has been giving them some challenges having frequent break downs. The cost in terms of the maintenance of the plant is a challenge and it got to the point of frustration where you are in the middle of a road development or maintenance and the plant just gives out for whatever reason. 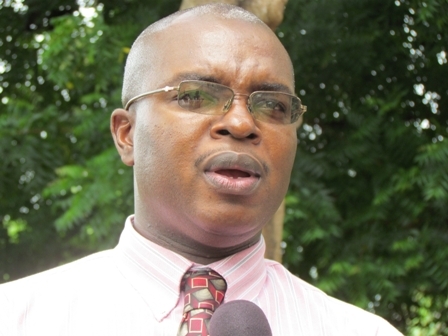 “So they [technical officers] have been appealing to the Ministry for a brand new asphalt plant. We lobbied the Nevis Island Administration, submitted a Cabinet Submission with regard to the asphalt plant, outlining clearly the benefits of a new asphalt plant. I am very happy that we have the brand new ADM Asphalt Plant here on the island of Nevis,” he explained. 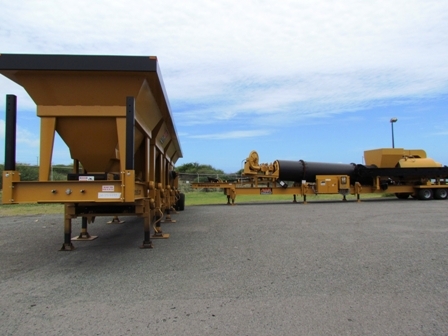 According to Mr. Stapleton, the new 110ton asphalt plant will be of benefit to the people of Nevis because the road maintenance programme would continue uninterrupted and maintenance cost would be much less. 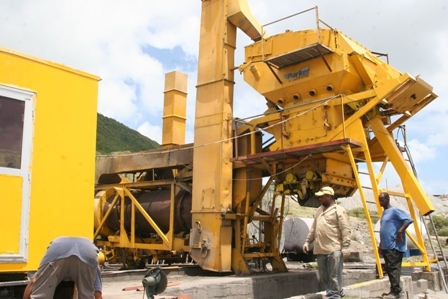 “Many times we have to send certain sections of the plant or pieces of the plant to St. Kitts for repair work and all of this cost money and it costs time so we expect that the maintenance cost for this plant should greatly reduce our maintenance bill so we are happy about that… We had to get technical officers from as far as Europe to travel here to assist us in solving some of the issues that we had,” he said. Notwithstanding, Mr. Stapleton noted that the staff would be exposed to training in keeping with an ongoing staff training programme. So far some of the Public Works personnel travelled to Kentucky in the United States for training including asphalt mixing. With regard to the new plant, Mr. Stapleton said two technical officers had travelled to Miami to ensure it adequately met the needs of the Department before a final determination was made for purchase and some back up technical assistance in that regard was also sought from a private company. He further added that there were a number of ADM asphalt plants in the Federation and workers from the PWD had travelled to St. Kitts to look at them in operation since it would be operating under a similar environment in Nevis. Installation of the new plant is expected to commence shortly at the existing location in Matty Bottom, New River and the Department’s technical staff is currently engaged in preparation for installation. “Once the plant is installed we expect a couple technical officers to travel to Nevis to provide training for our guys in the operation of the plant. So additional training would be provided with regard to the operation of this new ADM Asphalt Plant,” Mr. Stapleton said. The Permanent Secretary also noted that the plant was bought from the United States as opposed to Europe due to cost considerations, ease of access to parts and technical assistance.